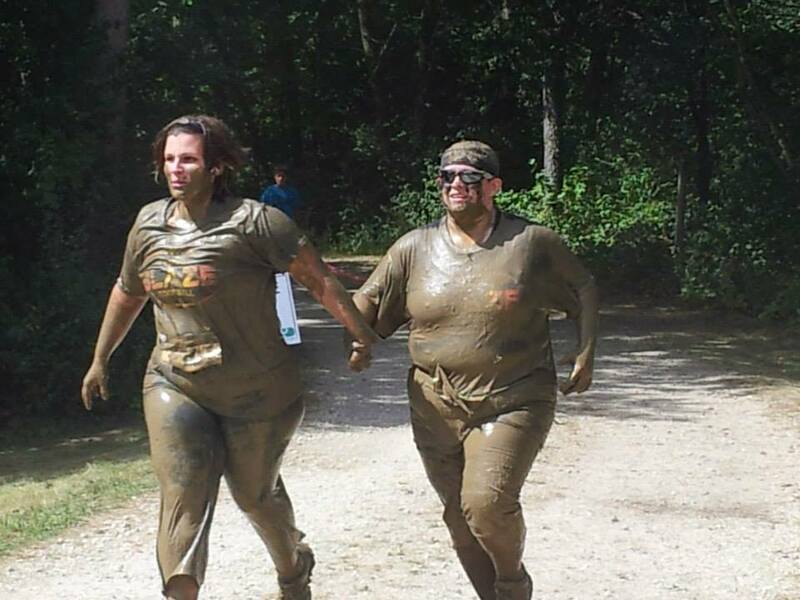 Madison Blaze First Ever Team Mud Run! 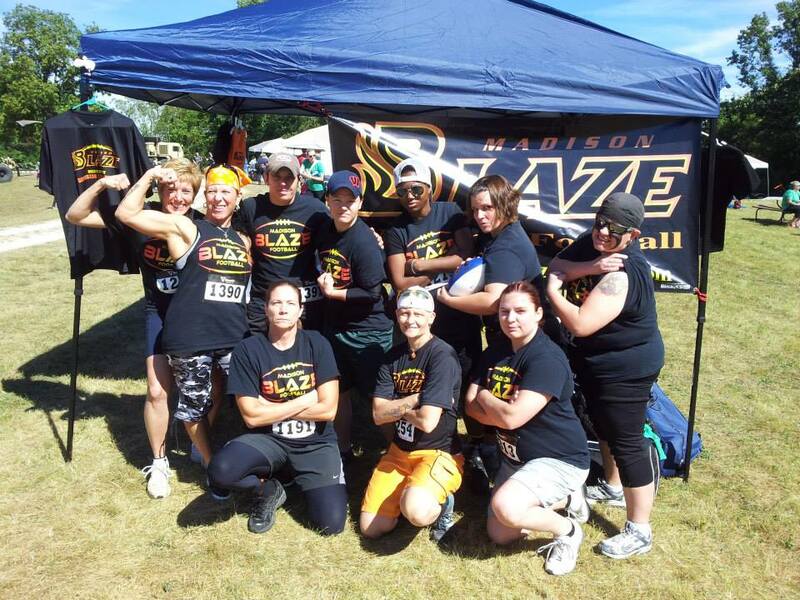 On Saturday, September 14, the Madison Blaze participated in our first ever team Mud Run! 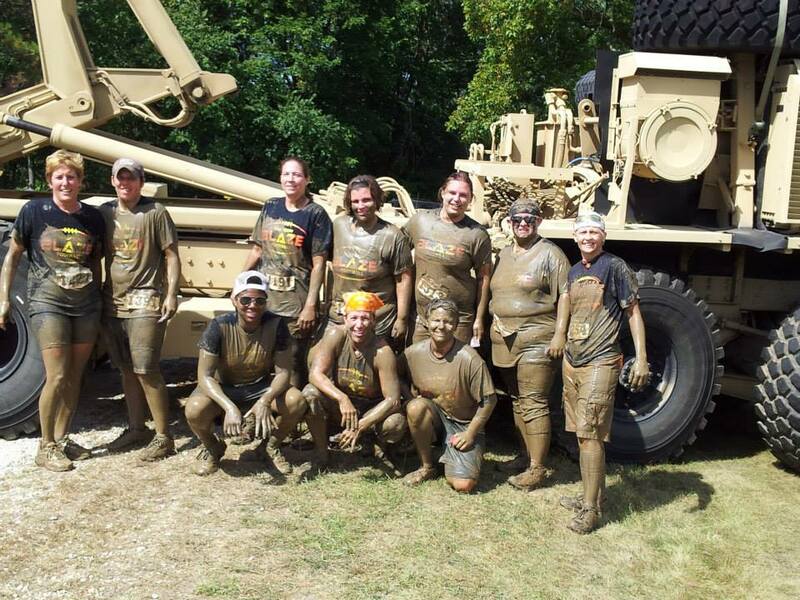 That’s right….Madison Blaze players ran, walked, laughed, climbed, crawled, and splashed our way through 3.2 miles of mud and 20 obstacles at Oakwood Knoll Girl Scout Camp in East Troy, Wisconsin in the 2013 ONE TOUGH COOKIE 5k! . 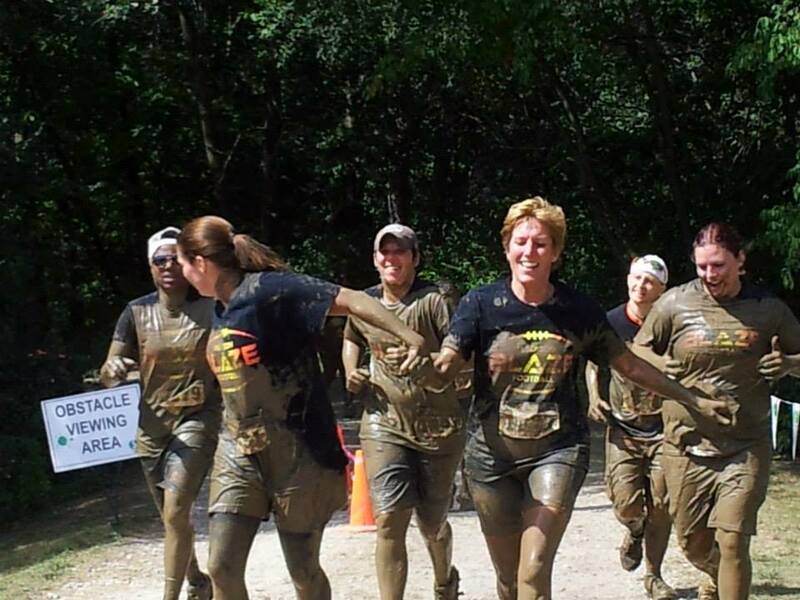 In addition to participating in the mud run, Madison Blaze players and staff had the opportunity to volunteer on the race course, assisting runners with obstacles and cheering on hundreds of awesome TOUGH COOKIES!!!! The Madison Blaze would like to thank the Badgerland Girl Scout Council for welcoming our players and staff to the event and we look forward to partnering with the Girl Scouts of America during our upcoming 2014 Season! This is just one of the many awesome events the Madison Blaze participates in OFF the field that is designed to build a stronger team ON the field. There was one and ONLY one goal for this event – HAVE FUN. And in true Madison Blaze fashion, we did just that! There were no play clocks, no pass rush, no goal line defenses – and absolutely no serious conversations ALLOWED! If YOU think you have what it takes to be ONE TOUGH COOKIE on the playing field in 2014 – we encourage you to participate in our upcoming October 20 Mini-Camp/Try Out at Sheehan Park in Sun Prairie!